Hey February babies! Bored with your wardrobe? One of the easiest ways to add more character to your personal style is to incorporate certain elements that are signature to your birth month or full-on dress according to your zodiac sign. Call it “superstitious” or call it “celebratory,” your western astrological sign can be of great fashion inspiration! 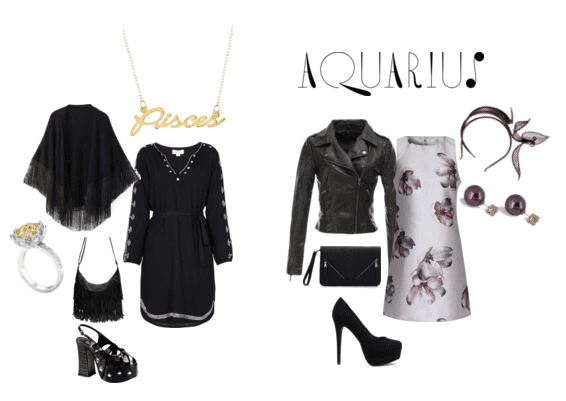 As an Aquarius or Pisces (February signs), you have the ability to create an awesome outfit with new pieces or refresh some of your go-to looks with special accents! Keep reading to find out how you can show your February fabulousness in a cool, non-cheesy way. You can also learn what to gift your Aquarius or Pisces BFF! It’s really easy to get stuck in a wardrobe rut or feel a lack of inspiration when it comes to trying new styles and accessorizing your look. Sometimes it’s due to laziness (“So what if I wear my holey jeans every day. It’s all rock and roll baby!”). Sometimes it’s due to having a strict fashion budget (“I really want those shoes, but my rent is due! Grrrr!”). And sometimes it goes deeper. Are you nervous to explore a new look? Do you care about people’s opinions more than you thought you did? As you determine what is actually hindering you from breaking out of your comfort zone, check out the colorful styles that famous February babies rock! 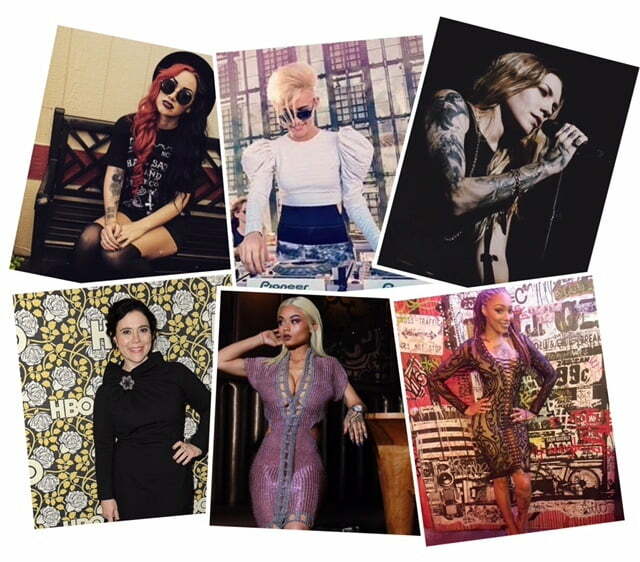 Chicks like India Westbrooks, Ashley Costello, Dutchess Latimore, Skylar Grey, Miriam Nervo, and Alex Borstein all share a key ingredient of what takes to create unique personal style: CONFIDENCE. Think you got what it takes to show the world what you’re made of? If you’ve got the imagination of a Pisces or the Aquarius’ progressive way of thinking, you most definitely do. The month of February is actually the birth month of two different astrological signs -- Aquarius and Pisces. This means two different birthstone colors! While the beautifully deep hue of amethyst belongs to the Aquarius girl, the Pisces chick can bask in the peaceful tone of aquamarine. Whether you are a fashion minimalist or a burlesque-inspired beauty, you can incorporate either of these two colors into your outfit pretty easily. Not only do these February colors add character to an all-black look, you can also wear amethyst or aquamarine accessories with a neutral palette, such as flesh-colored tones like beige, browns, and creams. If you’ve never really worked in a bold color into your style, you may want to start off with one or two accessories for a chic look. Then, when you’re comfortable with flaunting these colors more often, have fun layering lots of jewelry and working in hats and scarves! Straight out: floral prints are not for everybody. But it totally works for boho girls and retro style mavens! Try working in a subtle piece or an intense pattern to your wardrobe to enhance your style personality. 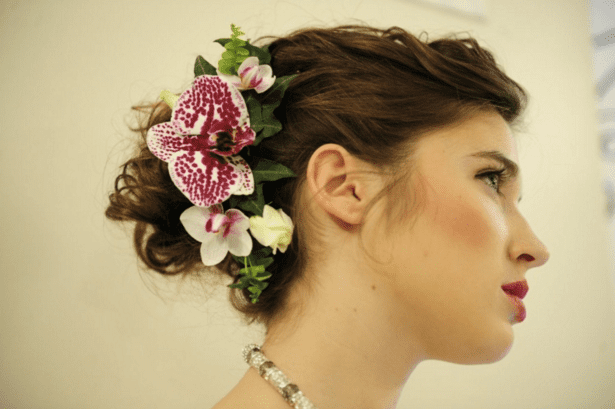 Adding in hints of your sign’s signature flower to your look may help you find creative inspiration and uncover greater confidence to pull off any look, be it with orchids (Aquarius) or water lilies (Pisces)! And should you not be interested in wearing floral-patterned clothing, consider incorporating the colors of the flowers instead or using floral accessories to change things up. It’s all based on your unique personality and preference! Have you ever dressed in colors and prints according to your birth sign? Share your thoughts in a comment below! Styles And Gifts For The July Baby! Style And Gifts For the May Baby! Style And Gifts For The June Baby! Styles And Gift Ideas For The August Baby! Style And Gifts For the March Baby! Style And Gifts For the April Baby!